Colombo Fort Magistrate granted permission to Criminal Investigations Department (CID) to obtain statements from Perpetual Treasuries Limited (PTL) beneficiary owner Arjun Aloysius and its Chief Executive Officer Kasun Palisena who are currently under remand custody. The Court issued a written order to the Prisons Superintendent asking him to allow the CID to record the statements from February 13, 14, 15. Colombo Fort Magistrate Lanka Jayaratne made this order after considering the request made by CID from Court, to obtain statements from the suspects for further investigations. Arjun Aloysius and Kasun Palisena were arrested by the Criminal Investigations Department (CID) on February 04 following a complaint lodged by present Governor of the Central Bank of Sri Lanka Indrajit Coomaraswamy. On February 5 they were ordered to be further remanded till February 16 by the Colombo Fort Magistrate Lanka Jayaratne. 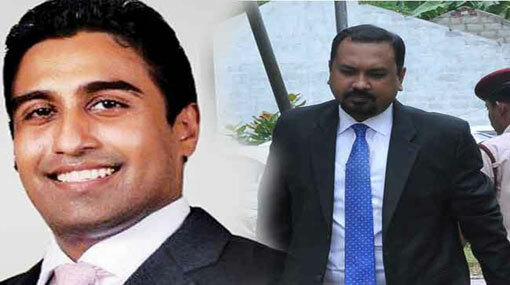 Arjun Aloysius and Kasun Palisena were charged of causing a loss of Rs.9147 million to the government using confidential information of the former CBSL Governor Arjun Aloysius.